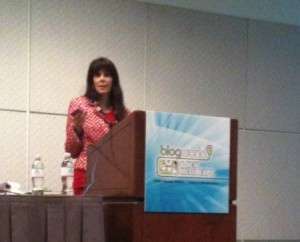 Join Julie Spira on October 16, 2010 for a very special edition of Ask the Cyberdating Expert Radio Show broadcasting live from BlogWorld in Las Vegas. This week’s guest is Dan Abelon, co-founder and president of?SpeedDate.com. Dan will share insight on mobile-based online dating which is fast becoming the preferred way to meet other singles.? He will discuss the subtle nuances between traditional and mobile-based dating and offer tips on boosting your chance of meeting that special someone using your smartphone or iPad. With over 10 million users,?SpeedDate?is the world?s first and largest real-time dating website. Its patented system allows singles to meet each other through three minute dates from the comfort of home using instant chat and video. ?SpeedDate.com allows singles to immediately determine if they have chemistry before taking time to meet in person. In addition, Speed Date will give away one 6-month Premium membership to their to a Cyber-Dating Expert Facebook member at the end of the program. To be eligible to win, visit us on Facebook at Facebook.com/CyberDatingExpert and make sure to “Like” our page. Call in at 646-929-0012 at 2pm/ET, 11am/PT to learn more about dating, love and romance in a Web 2.0 World.